ExamStrong offers the world’s most sophisticated, secure, versatile and robust solutions for delivery of the highest-stake exams - around the world - 24X7. It has been developed exclusively for premier and leading global educators, transnational business corporations, professional standards bodies and certification agencies that operate on stringent national and international accreditation norms. ExamStrong functions through the Sanctum - an optimized ecosystem of inter-networked exam-delivery platforms centered around multiple exam-engines for pre-certification testing across a wide spectrum of professions. ExamStrong’s true values reside in its capacities to deliver exams for various levels of professionals including even the most senior of them across multiple managerial and technology professions. The ExamStrong systems and its teams together have more than 60 expert-years of experience enabling clients meet their test-delivery timelines, without any irritating excuses or sudden surprises along the way. 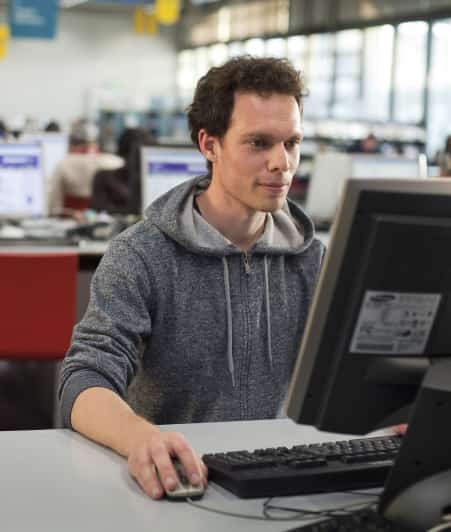 Currently, ExamStrong delivers knowledge- and skill-based tests for professions that demand understanding of concepts, models, theories, processes and best-practices of managing certain business functions like talent management and outsourcing, and those deploying specific technologies like data science and digital marketing. Unlike other testing bodies, ExamStrong does not hide behind technology-excuses to keep clients waiting or fretting for timely test-publishing and delivery, which is replete with no-compromise examinee experience. Indeed, ExamStrong is able to ensure this entirely because it is dedicated thoroughly to test- and exam delivery for client certification, education and corporate bodies - and absolutely nothing else. ExamStrong has absolutely no other business interests clashing with any other exam activity. We do not engage in exam content or question bank development, or instructional design or testing tools design. That we do not do anything except test-delivery ensures that we can keep internal firewalls between content and delivery unchallenged, secure, and the reliability and integrity of our clients’ tests sacrosanct. ExamStrong systems and policies ensure our test-delivery excellence does not demand any irritating intrusion into the credentialing processes of our clients. This is extremely reassuring for certification bodies, educators and transnational corporations as we guarantee complete protection of their honor codes, sanctity and reliability, added with a relief that we are not trying to cross-sell or upsell any other exam-related service to them. At the heart of the ExamStrong ecosystem lies a strategically intelligent mechanism of real-time proctored online exam delivery in the public and the private modes. Courtesy these unique values, global credentialing leaders in the professions of Data Science, Digital Marketing, HR and Outsourcing have reposed their trust in ExamStrong and we are delivering exams of more than a dozen of the world’s most sough-after certifications in the hottest of emerging global professions. ExamStrong is the best choice for specialist 3rd party certification, credentialing and standards bodies that want their certification exams to be delivered 24X7, around-the-world. Highly reputed international educators, institutions and universities with digital learning operations in multiple countries can bolster their international footprint by adding the ExamStrong test delivery facility in their system. This will empower their students to take exams anywhere they are, and virtually anytime they wish to. Transnational business corporations; multilateral aid bodies and banks with a global footprint can benefit significantly by boarding ExamStrong. Their future and current employees can take internal certification exams conveniently and at affordable costs speeding up their deployability. 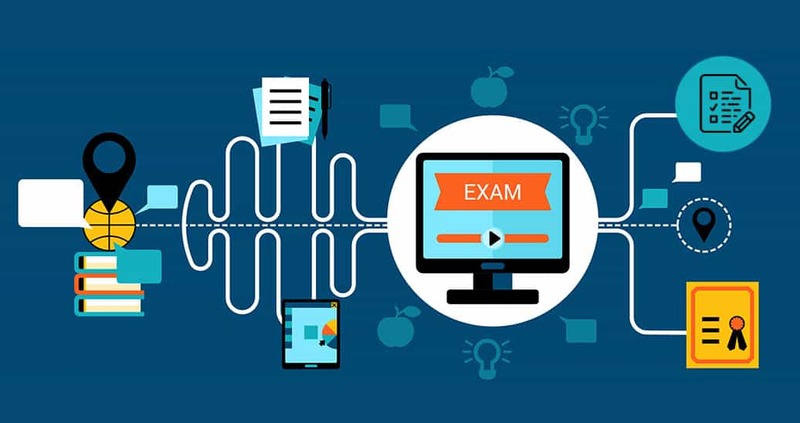 The Sanctum is ExamStrong’s rich, diversified and robust ecosystem covering the complete exam-delivery loop for its client credentialing, corporate and education bodies. Regardless of their locations, all ExamStrong clients onboard the Sanctum enjoy complete, real-time access and control on how they can plan and build, board and publish their exams on ExamStrong for delivery without stumbles, shocks and errors. They can even charge fee from the examinees, if they wish to. 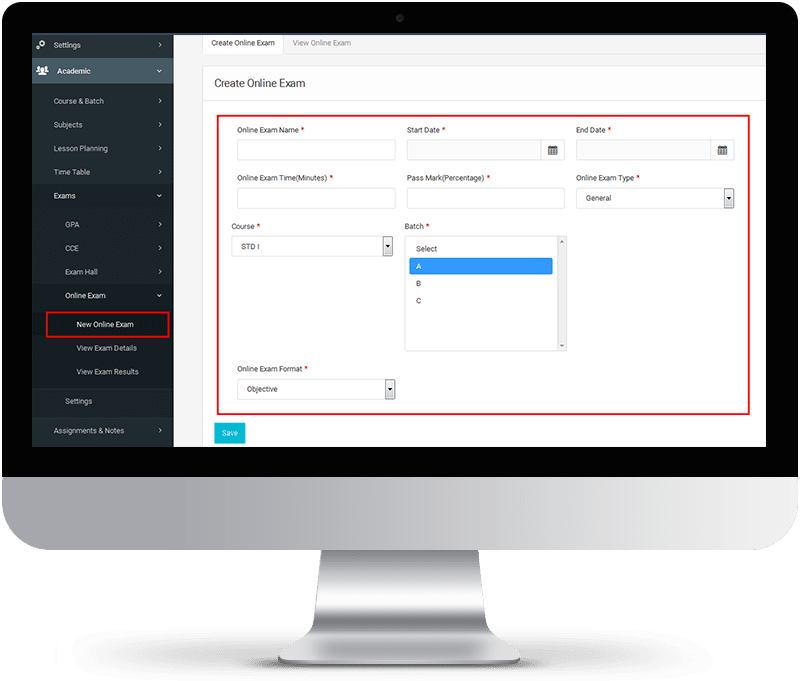 Also, unlike most other online testing bodies, ExamStrong has a robust exam scheduling facility, and if clients desire, they can use it to help examinees plan and book their exams on their convenience, reschedule, and even cancel. Leveraging the flexi-modal facility of ExamStrong, our clients can choose between center-based public delivery of exams in certain sensitive geographies, or the highly personal, private delivery of exams – under real-time remote monitoring and proctoring in other locations, where convenience of examinees is of extreme significance. Wired and walled by robust technology and process management policies, the various ExamStrong test engines form the core of the Sanctum, ensuring correct, zero-lag, cheat-deterrent and examinee-friendly real-time proctored online conduct of exams for clients, ending with the reportage of test results and analytics to examinees and clients. Certification and education bodies and large corporations with their own standards, question banks and credentialing systems can board the versatile ExamStrong ecosystem and obtain the facility of delivering their exams across more than 200 countries, virtually 24X7. ExamStrong helps client organizations plan their exams for various certifications; white-label these certifications and exams to prevent confusion; and empower their examinees with the facility to buy certifications, schedule their exams, cancel them and take them according to their convenience virtually anywhere around the world they may be, and almost anytime they wish to. Leveraging the latest technologies and tools and systems available in the world today, ExamStrong offers testing solutions that are state-of-the-art and completely adaptable to the varying testing aims, objectives, philosophies and approaches of leading global educators, standards bodies, certification agencies and transnational corporations. ExamStrong’s systems, processes, technologies and policies have been designed and commissioned completely in alignment with the most stringent of international testing, accreditation and credentialing norms – including those of the CLEAR, ASNBC, ICE, the NCCA and the ANSI 17024:2012. The ExamStrong team is composed of test-delivery experts with years of accomplished exposure to various aspects of testing, exam management, and testing technology development, and backed by experience of over 50000 online proctored tests around the world in the last 15 years. A large suite of technology applications is built into the Sanctum ecosystem to ensure that ExamStrong’s standards in live online proctoring rival those found in center-based testing. All ExamStrong test-engines have multiple-layers of security to preempt and deter cheating as well as illegal downloading of exam content of our client bodies. While IdCheck™ ensures a foolproof verification of examinee identities before the start of a testing session, there are robust remote applications embedded in the ExamStrong test engines that ensure a wide range of checks – from a thorough webcam recon of the exam room to bug-proofing of the examinee’s computer machine. The live proctoring and monitoring systems at ExamStrong are designed to vigil examinees individually, and suspend a testing session at even a whiff of any suspicious activity by the examinees or an unexpected change in their environment. Indeed, since all testing sessions are recorded, examinees can always be checked later on upon suspicion.